Leaf Litter #7Tucson Women’s MarchHome / New Products / Drop the Charges! 12×24″ Yard Sign with H-stake to hold it in the ground. 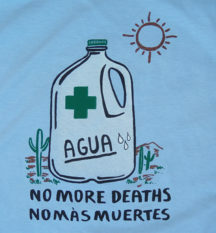 No More Deaths is a civilian humanitarian aid organization serving migrants in the southwest borderlands of the United States. Recently their volunteers have come under attack from the Trump administration. Support them in their campaign to defend Humanitarian Aid from federal prosecution and to uphold the right to give and receive aid. 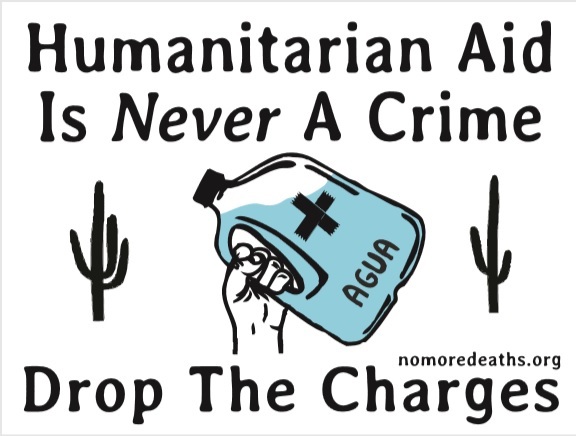 Put a sign in your yard and demand that the government drop all charges against Humanitarian Aid workers. More info at No More Deaths website. 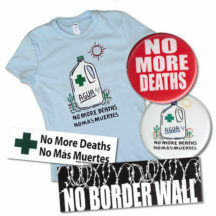 Price includes a small contribution to No More Deaths!